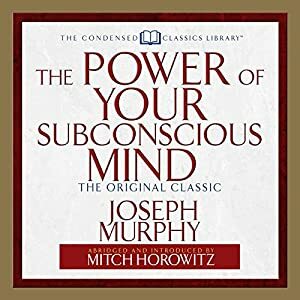 Here is mastermind Joseph Murphy's most powerful, precise program for using the visualizing faculties of thought to attain the life you want. Whole volumes have been written on the topics that Murphy boils down to their essentials in this all-in-one guide. This special edition is narrated and introduced by New Thoughtauthor and historian Mitch Horowitz, who explains how to get the most from the book. • Why relaxation and meditation can bring you wealth. • How your mind is a channel of the Higher Mind of the universe. • Specific prayers and affirmations that will bring you closer to your goals. • Why praising and encouraging others helps YOU. • How specific thoughts deplete or build your financial health. Your mind is an extraordinarily powerful instrument-here is the only guide you'll ever need to maximize its reality-shaping abilities. 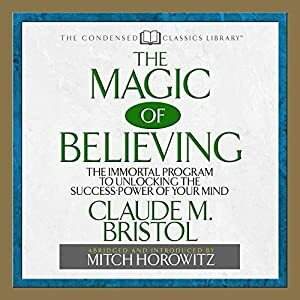 Abridged and introduced by PEN Award-winning historian Mitch Horowitz, The Magic of Believing is at once the most grounded and the boldest work of self-development you will ever encounter. The Condensed Classics Library"40 Minutes to a New You". 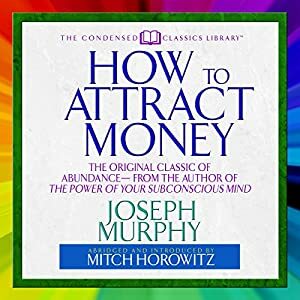 Abridged and introduced by PEN Award-winning historian Mitch Horowitz, here is the dramatic and eye-opening masterwork by an incredibly bold thinker who had one simple aim: to bring riches to the masses of people. The Condensed Classics Library "40 Minutes to a New You". 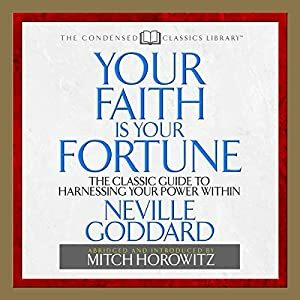 You are about to experience a concise, powerful, and overwhelmingly persuasive introduction to Neville Goddard's cosmic philosophy in this condensed edition of Your Faith Is Your Fortune, abridged and introduced by historian Mitch Horowitz. This pristine distillation of one of Neville's core works highlights the mystic teacher's most direct and important ideas, allowing you to apply Neville's timeless principles right now to improve your life, finances, social standing, and sense of purpose, as well as the lives of those you love. Neville is becoming widely known as one of the most practical and dynamic spiritual thinkers of our time. In Your Faith Is Your Fortune he challenges you to put his ideas to the test. Are you ready to decide for yourself whether Neville's simple principle that imagining creates reality really works? It may be the most important step you ever take. Neville Goddard (1905-1972) was the author of more than ten books, and delivered thousands of lectures in which he taught that the human imagination is God. His work influenced some of the leading spiritual writers of the past century and prefigured today's most radical theorizing in quantum mechanics. This remarkably concise, powerful statement on what makes a person successful remains as relevant today as when it was written more than a century ago. If you take seriously the principle of Elbert Hubbard's A Message to Garcia, you will become the indispensable, productive, successful, and respected person you have always wished to be. All that is required is for you to "carry a message to Garcia" - which means to do a job simply as it should be done. Discover for yourself the incredible power hidden in this one step. 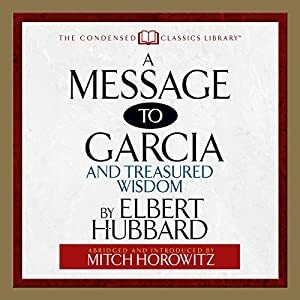 This edition of A Message to Garcia surpasses other volumes because it includes short passages of life advice from Hubbard that elucidate his message and demonstrate how to put it into action. 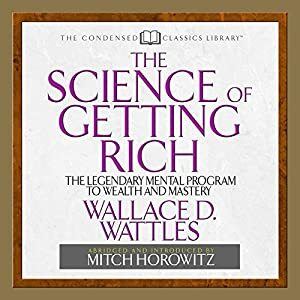 Selected and introduced by PEN Award-winning historian Mitch Horowitz, this slender volume offers a life-changing journey into a single idea that can make all the difference in your earning power, effectiveness, and success. Do you dream of a life of riches, prosperity, and purpose? Well, stop dreaming - the answers are not in some fantasy or far-off place. They are directly under your nose. Abridged and introduced by PEN Award-winning historian Mitch Horowitz, here is an audio presentation that you will never forget. 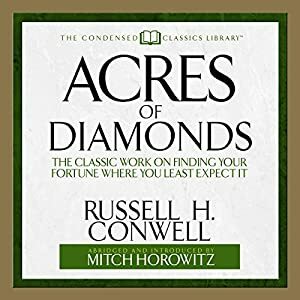 "Acres of Diamonds" can alter the nature and direction of your life and fortunes. 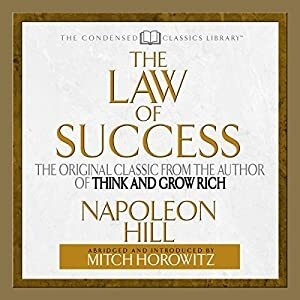 In The Law of Success, the legendary motivational master Napoleon Hill (Think and Grow Rich) makes his fullest, most in-depth exploration of the 15 principles that lead you to prosperity, purpose, and mastery. This brief yet immensely powerful condensation of Napoleon Hill's lesson plan allows you to put his ideas to work right now. Here are all the insight and subtlety of Napoleon Hill's treasured keys, offered to you in about 40 minutes. In the space of a lunch hour or commute, you can begin to revolutionize your life. The incredible power of a Definite Chief Aim. How to transform your subconscious into a receiving station for insights, intuitions, and breakthrough ideas. Why the Golden Rule is your secret path to power and prosperity. How to profit from failure. How your sincere enthusiasm influences clients, customers, and backers. 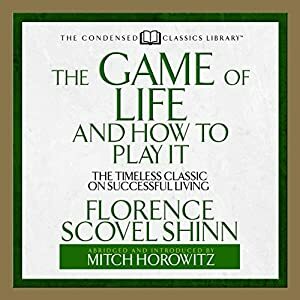 Abridged and introduced by PEN Award-winning historian Mitch Horowitz, this compact edition of The Law of Success is more than just a blueprint to success. It is your guide to a new life of effectiveness, purpose, and progress. Since the dawn of time, humanity has benefited from the power of a single extraordinary secret - will you use it to remake your life? In The Secret of the Ages, writer and seeker Robert Collier unlocks the hidden meaning behind humanity's most enduring myths, parables, and religious texts. As you were created in God's image, Collier writes, so can you wield the power of creation - through your own mental images. Form mental pictures that lead to your success. Use your subconscious to tap unseen forces and energies. Dramatically increase your effectiveness by committing to a single definite purpose. Discover how the universal mind is your guarantee against failure. 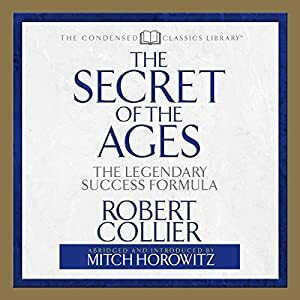 Abridged and introduced by PEN Award-winning historian Mitch Horowitz, The Secret of the Agesprovides you with an entirely new sense of your potential. Use its insights right now. The Condensed Classics Library "40 Minutes to a New You"
How to find answers to problems while you sleep. How your inner talking becomes reality. The secret to effective prayer. The right use of visualizations and affirmations. How to escape self-limiting patterns of the past. Condensed and introduced by PEN Award-winning historian Mitch Horowitz, this brief volume will broaden how you see yourself and your possibilities. Discover what millions have found in The Power of Your Subconscious Mind. The Condensed Classics Library "40 Minutes to a New You". The World's Greatest Book on Successful Living - in a Compact Special Edition! Why you must write down your goals. The immeasurable importance of a definite major aim. How to benefit from hunches and sudden inspirations. The magic of persistence in the face of setbacks. How to program your mind for success. The extraordinary power of a "Master Mind" group. 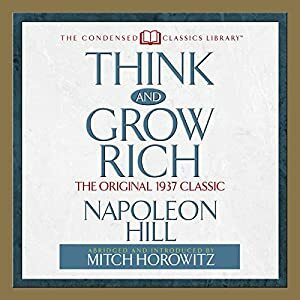 Abridged and introduced by PEN Award-winning historian Mitch Horowitz, this concise rendition of Hill's masterwork is both the perfect introduction to Think and Grow Rich and a great refresher for those who already know the book and its powers. The Condensed Classics Library "40 Minutes to a New You". How to establish intimacy with your audience. How to win people's confidence. The one vital ingredient to a powerful talk. How to speak in a natural, easygoing manner. How to open and close your talk. How to move your listeners to action. 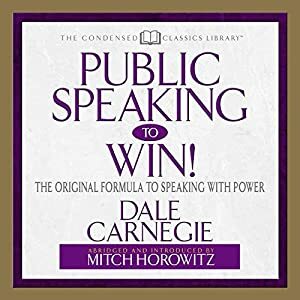 Abridged and introduced by PEN Award-winning historian Mitch Horowitz, Public Speaking to Winprovides the full insight of Dale Carnegie's original guidebook in one concise, unforgettable lesson. The Condensed Classics Library "40 Minutes to a New You".